The artist Rita Böhm is practicing the asian art of sumi-e, the japanese painting, in Berlin, Germany. Rita Boehm gives an introduction to the art of sumi-e, the japanese painting. 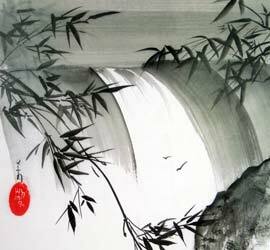 Sumi-e is often called chinese ink painting, the correct term however is japanese ink painting. There are many other terms for sumi-e as: sumi-e, sumie, ink painting, ink paintings, japanese painting, japanese paintings, oriental painting, oriental paintings, asian painting, asian paintings, chinese painting, chinese paintings, watercolor painting, watercolor paintings, japanese picture, japanese pictures, japanese photo, japanese photos,asiatic painting, asiatic paintings. You can find here a sumi-e gallery, it has many pictures. There is an offer, to learn the japanese painting in Berlin. Paint your own ink pictures in Berlin. 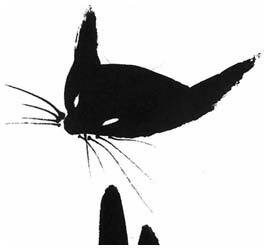 You can buy also sumi-e pictures made by Rita Böhm in Berlin. The painting of the sumi-e is closely linked with Zen. The artist Rita Boehm was brought to zen and zen painting by a Zen master. Likewise Rita Böhm had an Sumi-e master. Rita Boehm achieves also events in Berlin for demonstrating the art of sumi-e. You can find the current dates here. 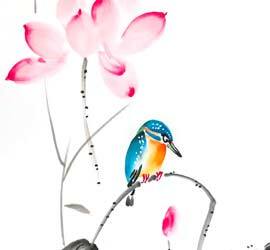 Whether now japanese painting or chinese painting, you must have seen the art of the sumi-e pictures of Rita Boehm. You can find here regularly a sumi-e picture of the month and informations about fashion and design with sumi-e. There is a sumi-e photo download-shop. If you have questions to sumi-e, take up simply contact. The rules to this sumi-e web page you can find in the impressum.